He was killed on the 1st of may. You never know, but there is something strange in this whole scene of events, why no photos, why bury him in the sea? Doesn't add up. You are right to think that way. It came all of a sudden especially the process of throwing his body in the river because of the muslim tradition. I'm a muslim and I've never heard of such before. Maybe it's done that way in Pakistan/Iraq. Should of captured him and tortured him. Oh how convenient, they throw his body into the sea.... we'll never see it! No photos, no videos, nothing. Funny that. "He was holed up not in the mountains of Afghanistan but in a two-storey house a stone's throw from a Pakistani army base in Abbottabad, about 50 miles from the capital Islamabad." Pakistan has been hiding Osama all this time. All you conspiracist nut jobs, the reason it took so long to find him is because we were betrayed by Pakistan- they were hiding him. I have read, which is a good reason, so it is to avoid a 'real burial site' . Having such an actual burial site known somewhere would probably end up bad in some way or another. Proper Islamic tradition is to bury the corpse underground, like all islamic deaths. When Saddam died, a video + photos were released however in this case, none so have happened as of yet. And sure I don't know if photos have been taken or not, perhaps they have, but why not show them? Some verification needs to be shown, there is no harm in showing his dead body, and all of those people saying that his dead body will enrage other Al-Qaeda followers is frankly a load of bs. And no that's not it, I believe he is dead as the president of the U.S wouldn't just say something wrong, with the risk of being proven incorrect, but why not show pictures? And as for the purpose, perhaps the U.S government found evidence of his death beforehand and in an attempt to boost Obama's reputation for upcoming elections, say the U.S soldiers killed Osama, causing them to be showered in glory. Again, just a theory of a purpose since you asked, but there is just something strange in this whole screnario. I'd remind you that the official Saddam video stopped short of showing the death. Yes, 19 months before the elections he does it, rather than say, halfway through the election campaign where it would have the greatest impact. The U.S. government, by the way, would be foolish to do this, its a similar situation to the 9/11 truthers who claim that Bush and the Repiublicans orchestrated the Twin Towers attacks, seemingly without thinking of how such a large scale operation could be carried out and how if it were carried out and then found out, it would destroy the party. You think Obama would take such a risk? You think any President would take that risk? I just don't understand why when he clearly has been killed, you want to spend time thinking about the minutiae of these ridiculous conspiracy theories, when you could be thinking about the serious issue of Islamic fundamentalismand the possible repurcussions of what this has on US foreign policy and standing, its as if you feel unable to confront those issues, so you want to talk about silly, insignificant and insubstantial claims that the big bad USA is lying to you. Oooh, you mean like The Matrix? Are you stalking me? You reply to half my posts with illogical bull****. If you're calling me retarded for actually looking at the evidence and coming to a decision (which I haven't done yet) then you really are an idiot. I'm waiting for all the evidence to present itself before blindly jumping to one side or the other. It is naive to assume the US government are always truthful. And that’s all I’m saying. It's amazing what American's can put their mind to and do when the PSN Network is down isn't it? No. My default stance is 'I don't know', the same stance everyone should have. 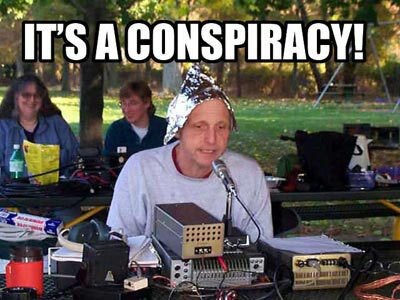 I don't see why people like to live in conspiracy theory land. There's no pictures of lots of major events in history - does that mean that they didn't happen either? Oh.. and it's NOT naive to automatically assume something fishy is going on. That is, if Bin Laden was actually there and killed this morning. And that he actually carried out 9/11, which there is no evidence to say he did. That was Bush, not Obama. At no point did I mention Obama or Bush. And it's not as if Obama has pulled out of Afghanistan is it? Was Osuma Bin Laden a closet homosexual? Is it acceptable for us to continue funding/supporting terrorist groups in Syria? Do you think Assad used chemical weapons on his people? BBC News commentator says Osama not a terrorist! There's no such thing as a simple task for those struggling to survive in Syria. Did an autistic mathematical genius kid really just say that? Why are people punished for stuff their relatives have done? Is it morally okay to publically praise the death of terrorists? Is it possible to self-study a-level maths? My girlfriend's family wants me to be more formal. Is anyone else struggling for a student job. I have NO real friends, no one wants todo anything.